Item number H2.43 from the MOA: University of British Columbia. 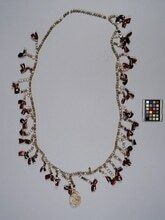 Long necklace made of small grey seeds with many small hanging strings interspersed throughout. Each string is composed of grey, cream and red seeds with a larger brown seeds on the end. 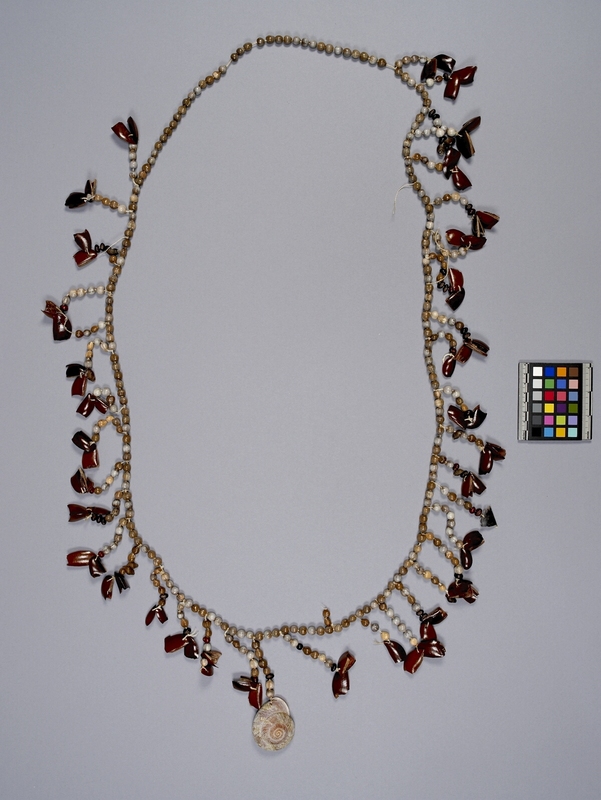 At the bottom of the necklace is a circular, grey shell possibly from a snail.